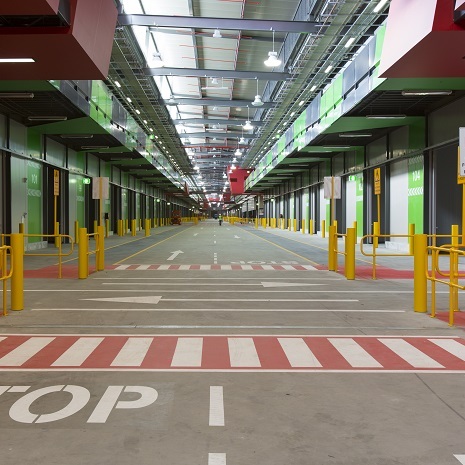 The new Melbourne Market at Epping is in close proximity to Melbourne’s freeways allows easier inbound delivery from farm to market and outbound delivery locally, interstate or overseas. The new Market has the capacity for four times as much on-site warehousing as the current West Melbourne site. Once complete, this warehousing will be the largest warehousing precinct at any central market in Australia. This will give the new Market significant food handling and logistical advantages and will open opportunities for traders to export. Being able to consolidate operations within the Market has the potential to reduce handling, transport and labour costs. • Dedicated loading and unloading areas with appropriate lighting. Advanced telecommunications technology and a leading edge closed circuit television system will ensure safety and security for all personnel and assets. A key consideration in designing the new Market was how to make the facility more environmentally sound. Incorporating strategies to maximise the recycling of 10,000 tonnes of refuse annually, the new Melbourne Market will be commited to minimizing waste to landfill with a waste recycling target of 95 per cent. The new Melbourne Market was designed through utilising extensive consultation, observation and international benchmarking to deliver a market that is considered world class. It is underpinned by the idea of establishing new environments that allow businesses to conduct their tasks easier, safer and with the ability to manage costs more appropriately.